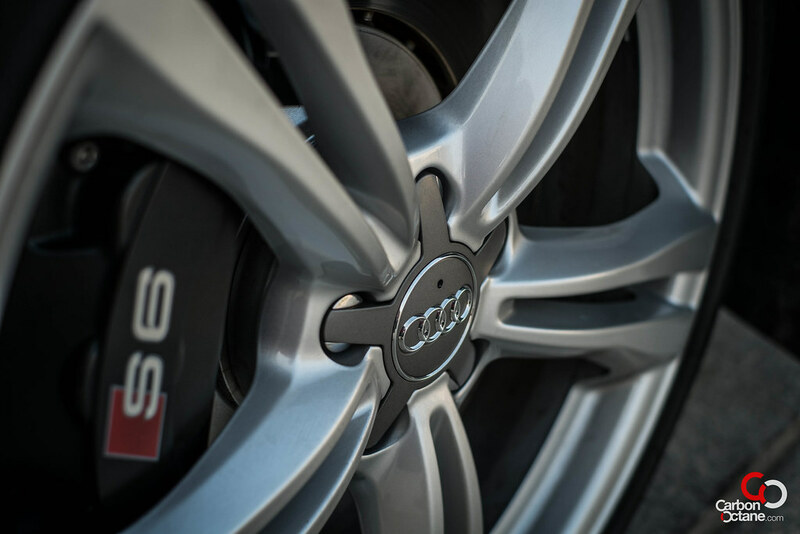 The new 2013 Audi S6 dumps the previous S6’s V10 screamer and gets a new twin-scroll turbocharged V8. It has shed weight and has gone greener, but has it lost its “Mojo”? 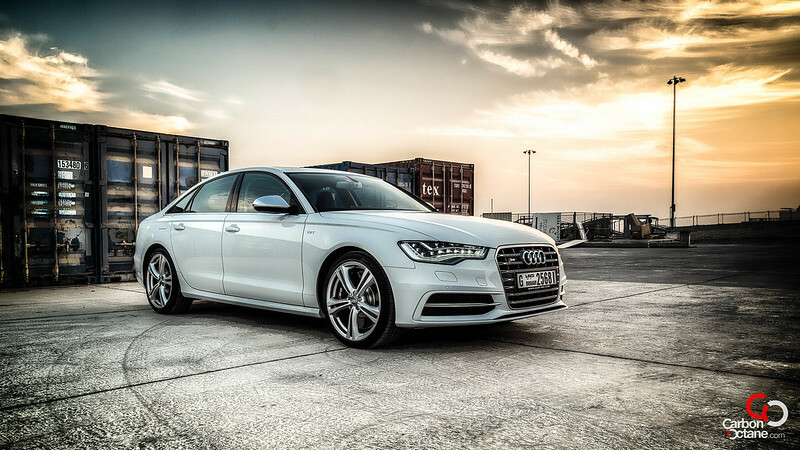 The 2013 Audi S6 is now in its 4th generation itineration and as evolution goes, is lighter, more efficient and faster than the previous generations’ V10. It is a rather strange world that we live in. 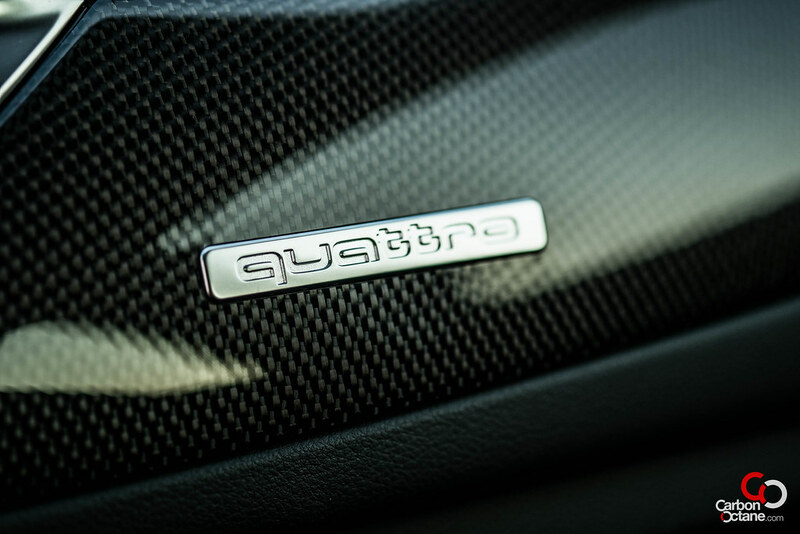 One would have thought that having more displacement was the king maker but as it turns out the top three luxury auto makers from the fatherland have opted for a different path. 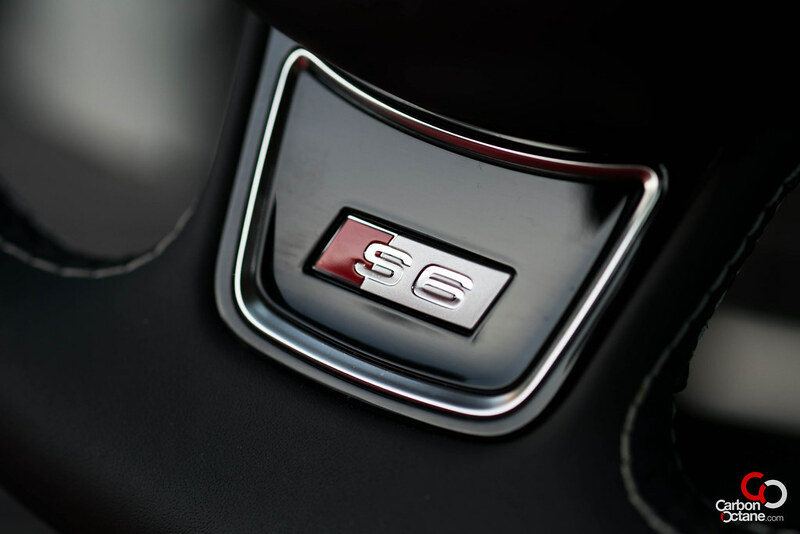 The S6 does not fall in the same category as the M5 from BMW nor the E63 from Mercedes but having a look at the latter’s evolution we can see that both the makes have gone down on displacement and have added forced induction. 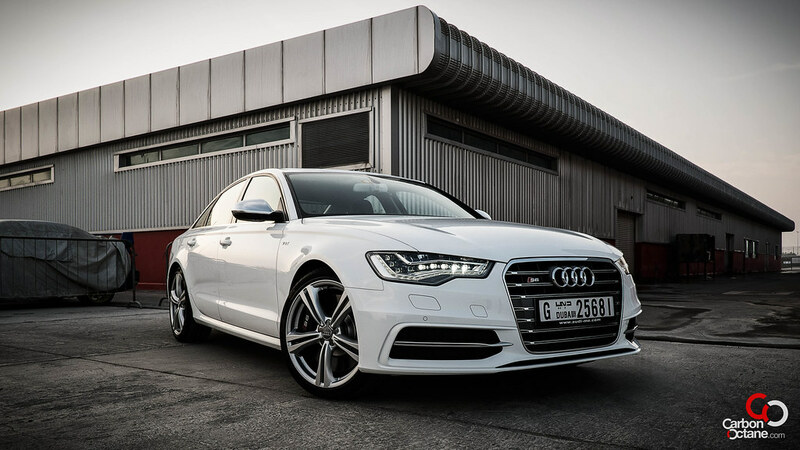 Audi has done the same with its new S6. 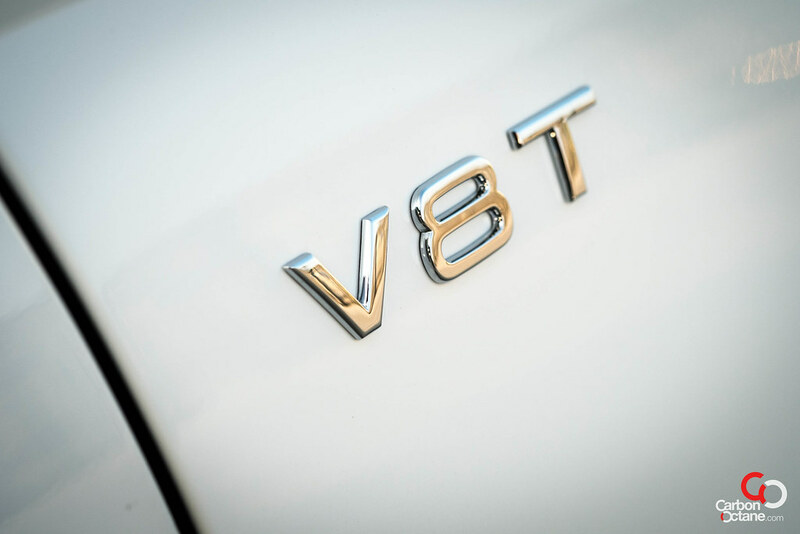 The new V8 weighs 88 lbs less than the V10 and has twin scroll turbochargers in the “vee”. 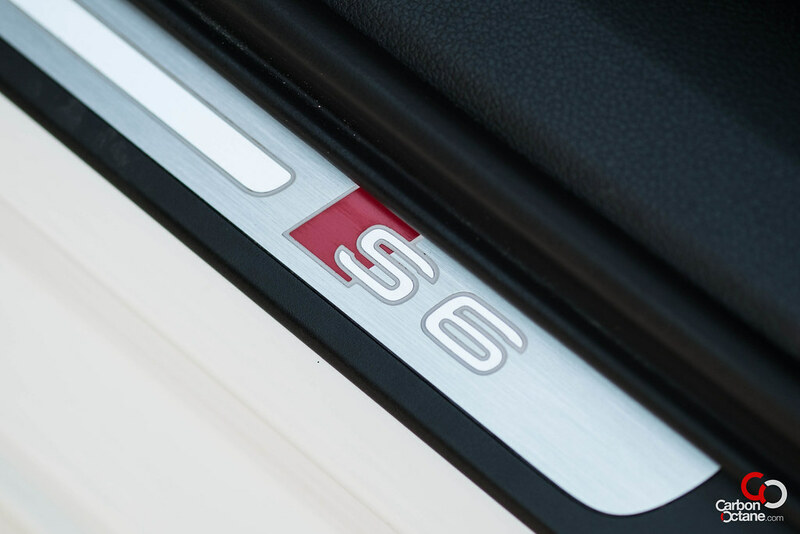 It is a combination of more torque, longer wheelbase, less front weight bias and overall weight reduction which makes the new S6 a more driver’s oriented car. 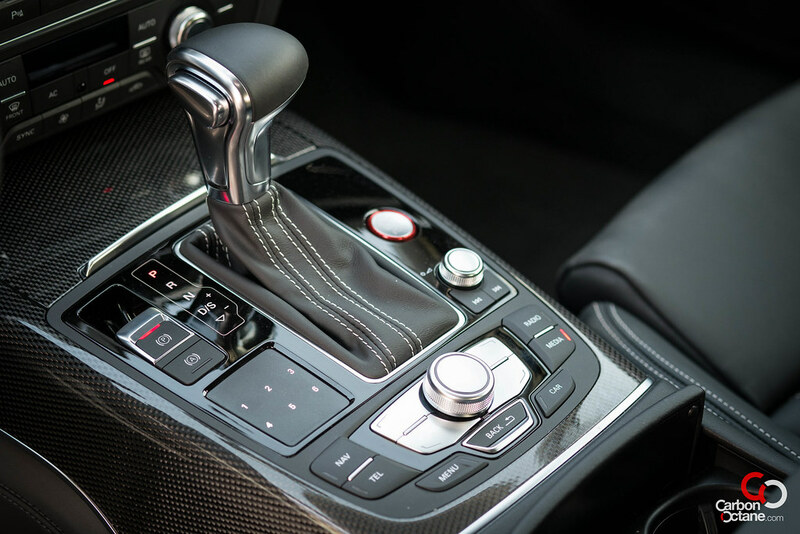 The days of the F1 like shrill from the V10 is replaced by a throatier growl of the V8 and the new exhaust note, though subtle, invokes us with a rather surreal aural pleasure when the accelerator is hammered down to the foot board. 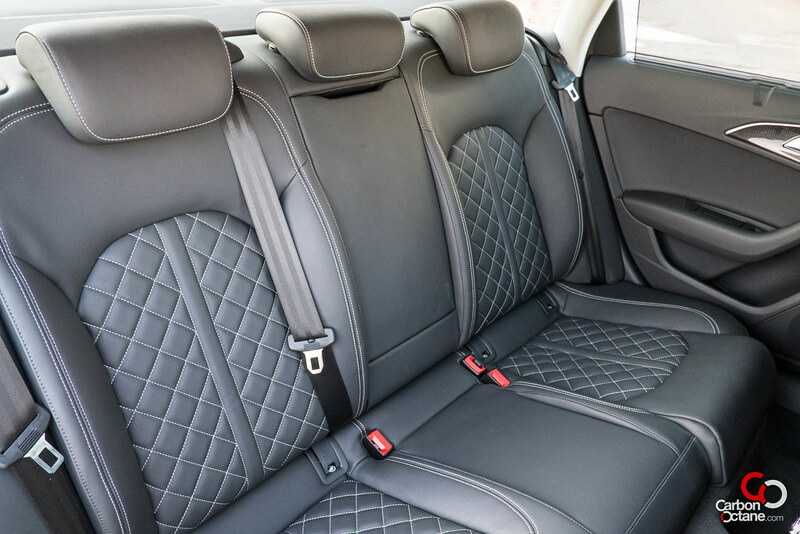 Our 2013 Audi S6 came draped in Ibis White and black interior with white contrast diamond stitching on the seats. A few external features distinguishes itself from the less endowed A6 such as the platinum colored grill, aluminum horizontal elements at the front grill, aluminum look side mirror caps, a rear lip spoiler and 4 exhaust outlets. At a glance the S6 looks very similar to the A6 as most of its unique styling features would go un-noticed to a less trained eye. 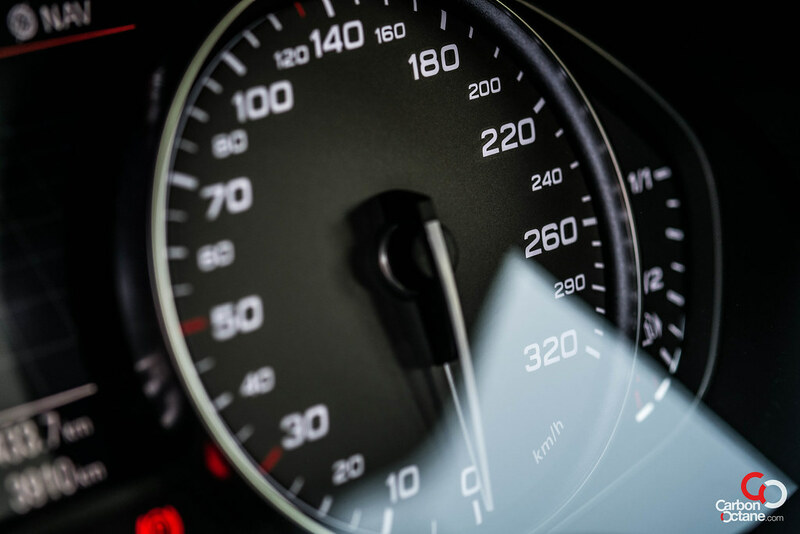 Though once the V8 was fired up the rush that followed suit made us gasp with joy and blew out any notion of under-performance from its rather unassuming look. 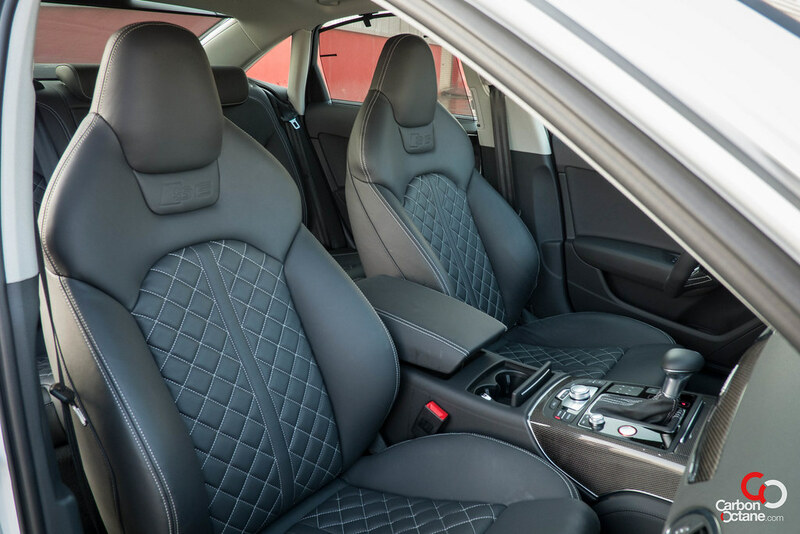 Once inside, the seat wrapped its arms around us in its snug fitting form. 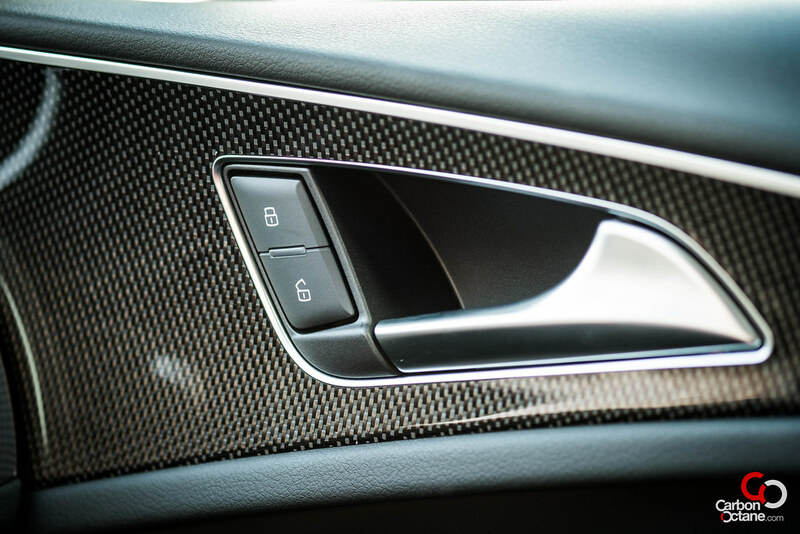 The interior trim was carbon fiber and as usual the Audi trademark attention to details with selective trim made with polished aluminum. 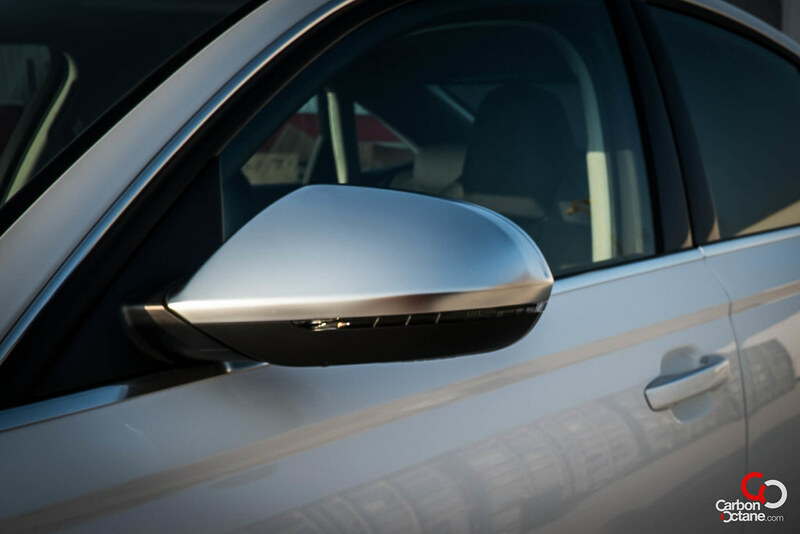 The Audi S6 just moves. 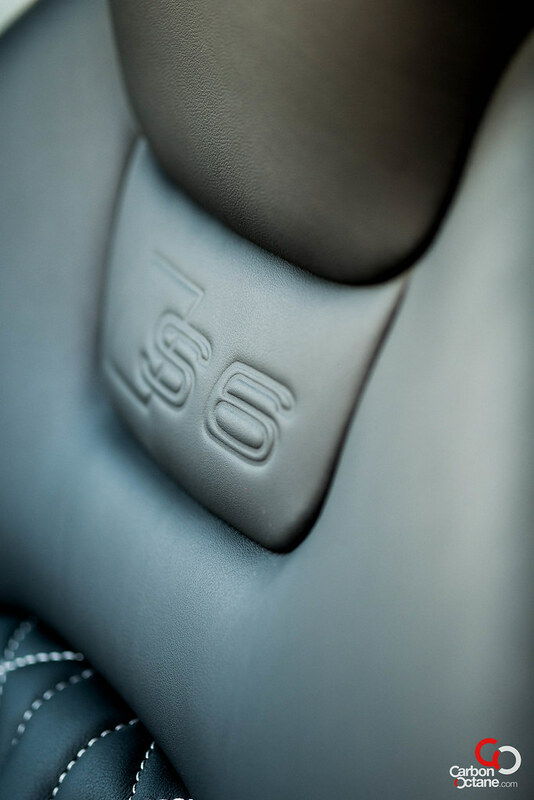 Whether on comfort or dynamic mode the S6 felt very rev happy. There is turbo lag till the 2.5k mark but after that the turbo’s spool up and hits out like a sledge hammer. All we had to do was hang on. Where was all this ferocity coming from? 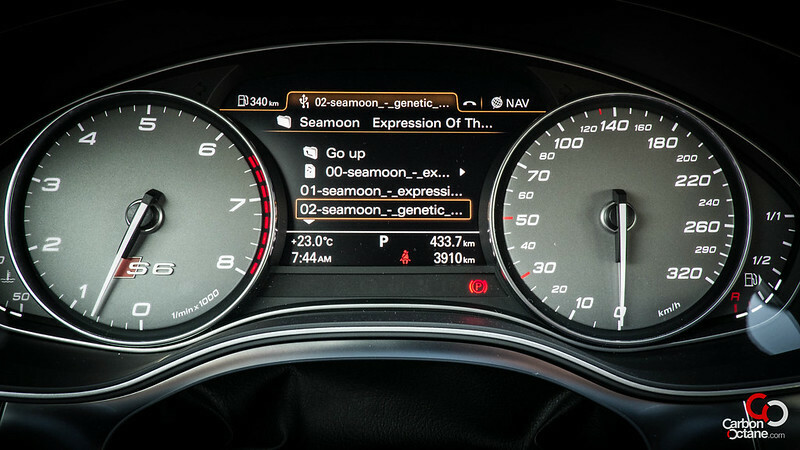 The 420HP on tap helps but it’s the mammoth 550Nm of twist that is to be lauded for the neck snapping acceleration. 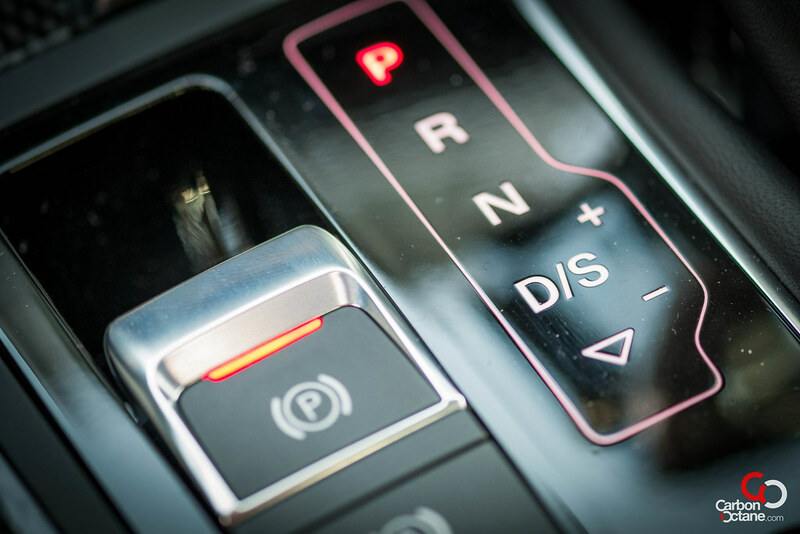 Audi engineers were not done with power but they have made sure that the new S6 was able to handle the power. There was no wheel spin as the AWD worked flawlessly in splitting the torque between the front and back as required. 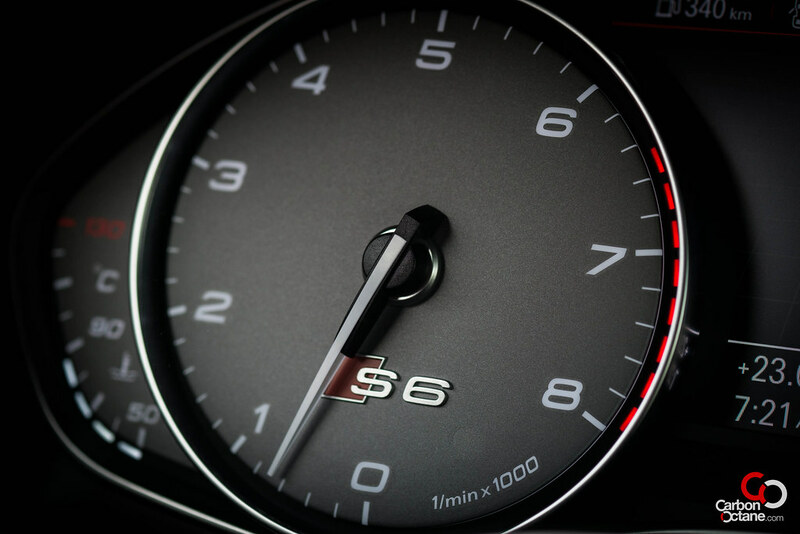 The S6 felt very nimble in the sudden direction changes. We threw its weight, or the lack of it, around and tried to get the car unsettled, we lost miserably. The S6 felt like a hot hatch around the tight bends and with the help of its longer wheel base, it was planted on the longer turns. 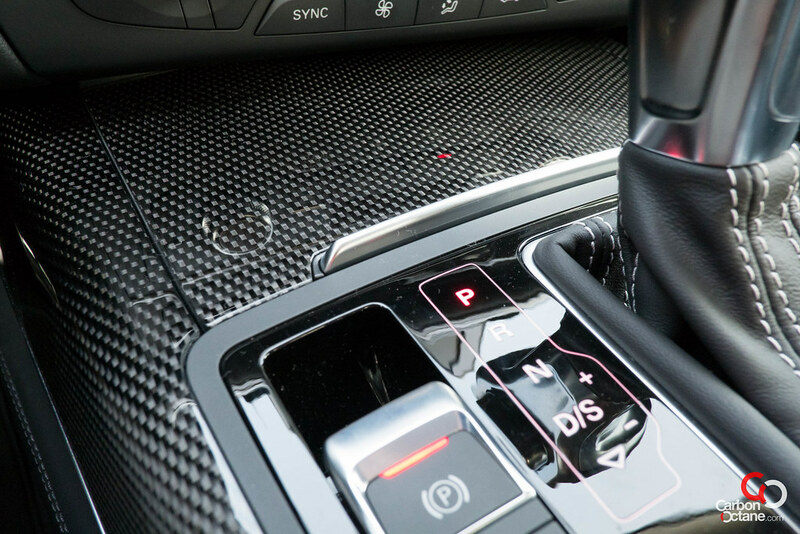 Yes it grips, but more importantly, the grip level could be felt through its steering wheel. It does not act like a sports car. This is what we call a Sport Luxury Mid Size Saloon. All the power and torque were anchored down by the brakes which provided for a fade free feel. 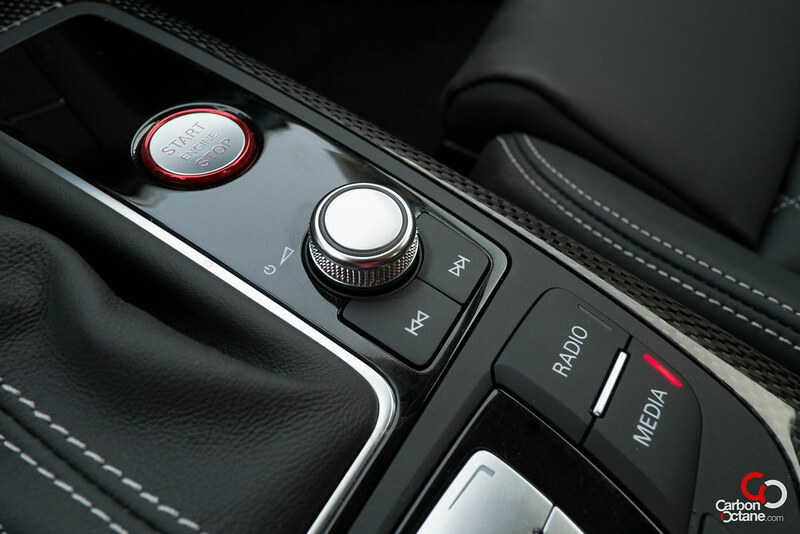 It has tremendous brake feel and one can feel its bite rather than guesstimate the stopping power. 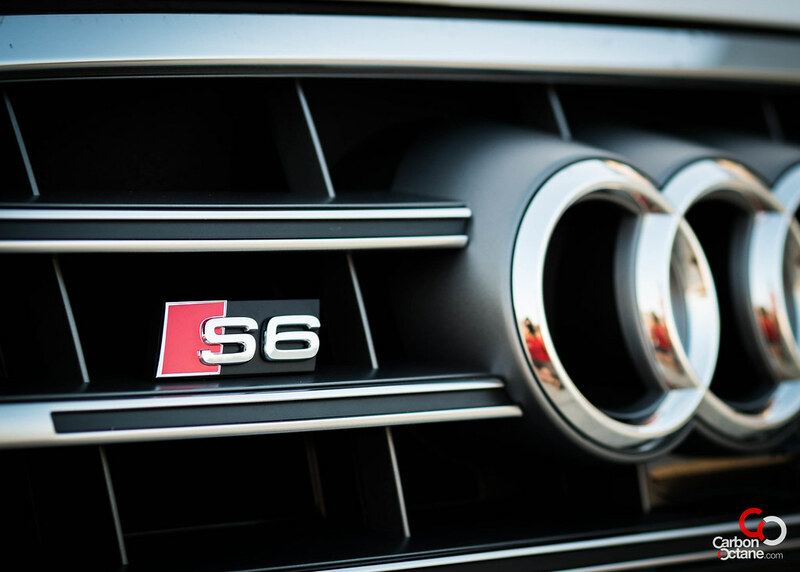 The new S6 is a complete package. 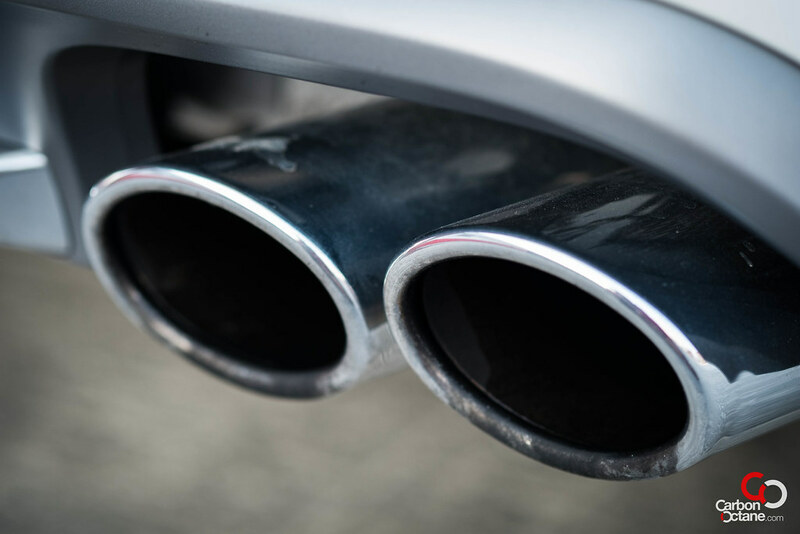 While it can safely move its occupants in comfort, it can also exercise their heart beats and entice them to match its revs. 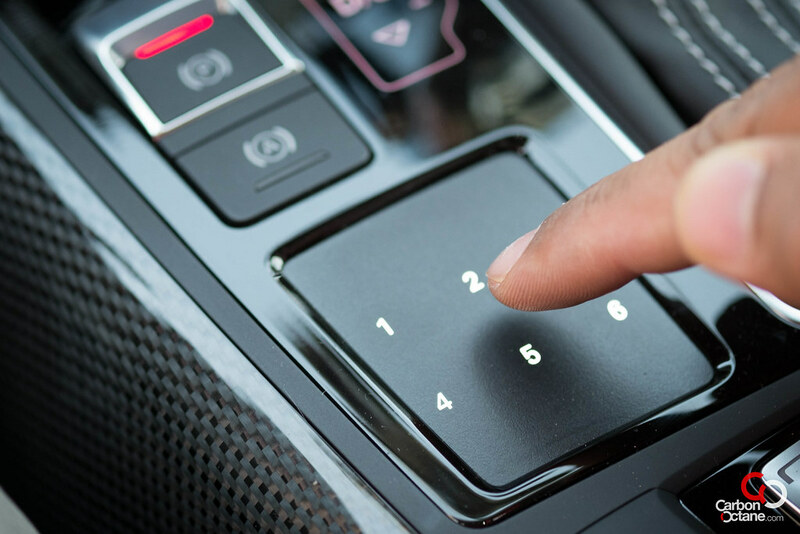 The individual mode can be specifically programmed to fine tune our driving and suspension preferences as well as the steering wheel feel individually. 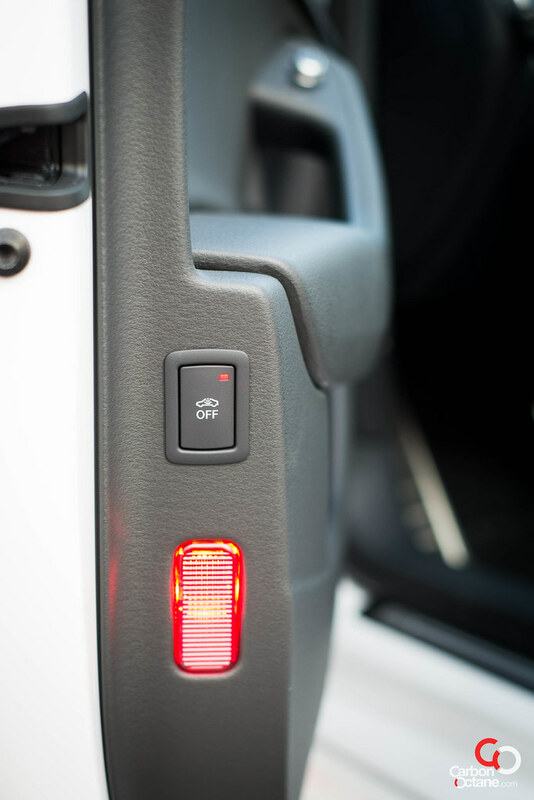 We can have everything in comfort mode but don’t want to miss out on the sound, yes now we can have the exhaust note on dynamic. It makes us leave work a bit early and always take the long way home.